What's it really like being the daughter of a man who is constantly ranked among the world's richest people? As the child of a billionaire tech mogul, Jennifer Gates lives a pretty amazing life by any standard, though she hasn't had it all handed to her on a plate. Born in 1996, she's the oldest of Bill Gates' three kids. This makes her heir to the Gates fortune, right? Wrong. The Microsoft co-founder and his wife, Melinda Gates, have pledged to "give most of their wealth to charity during their lifetime or to commit to doing so after death," per Business Insider. 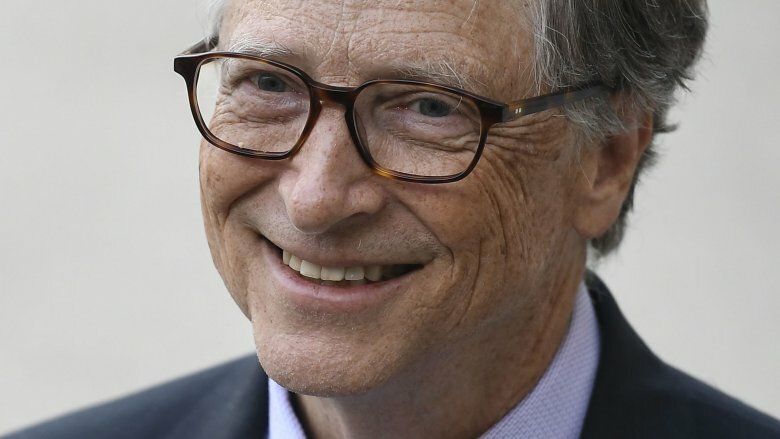 Explaining his decision to the Daily Mail in 2011, Bill Gates said that leaving only a small fraction of his fortune to his kids would help them to find their own way in life, and it seems to be working. Jennifer is now an accomplished young woman and has made a name for herself in her own field, though to say she didn't have any help whatsoever along the way wouldn't be completely accurate. 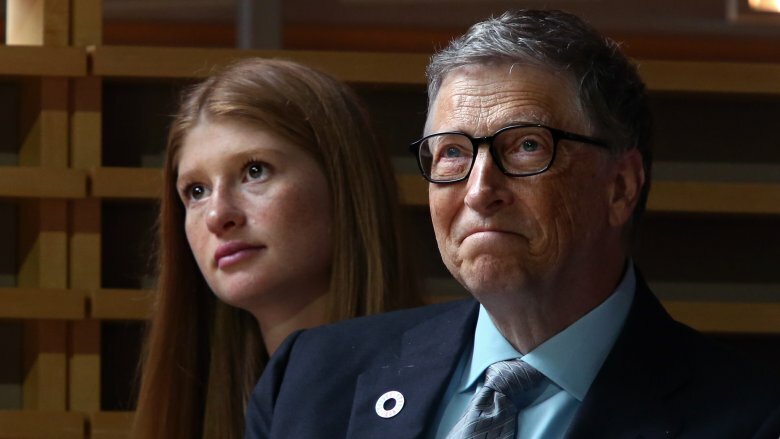 The Bank of Dad clearly wasn't handing out loans willy-nilly when Jennifer was growing up, but Gates has still done everything in his power to help his daughter reach her goals. And he's thrown in the odd treat, too. From multi-million dollar graduation gifts to luxury travel experiences, let's take a peek into the life of Bill Gates' beautiful daughter. We've all known kids who wanted a pony growing up, but Bill and Melinda Gates didn't stop at a pony after Jennifer started to show an interest in riding. She got into horses at the age of 6 after she and a friend decided they wanted to take lessons together. "A few years later, she was introduced to the hunter/jumper world and decided to pursue a more serious path," her profile on the Evergate Stables (the equestrian team that was created for her) official website reads. "Jenn quickly progressed and is currently competing in Grand Prix events in some of the most prestigious equestrian sporting events in the world." As of this writing, she's ridden at least eight horses in competition. In 2017, she grabbed her first win at an U-25 National Championship, riding Alex (her temperamental westphalian gelding) to victory. "I've done this level for a couple years and I don't usually place very high," Gates told The Chronicle of the Horse. "It's a goal of mine to place high." It was a huge day for her, even if the victory lap didn't go to plan — an excited Alex bucked her right out of the saddle. "When we got the horse they said he can be really difficult in the prize-givings, and I said, 'Well if I ever win anything, I am getting on him and I am doing it!'" It probably won't surprise you to learn that Jennifer Gates isn't the only billionaire daughter dabbling in the traditionally upper class sport of show jumping, but you won't believe who her rival in the field is. 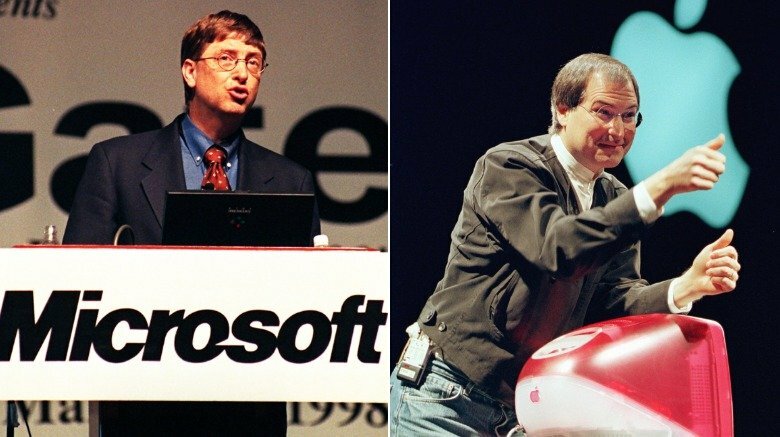 The battle between tech giants Bill Gates and late Apple co-founder Steve Jobs has been well documented over the years, but not many people know that their daughters have also become direct competitors. Like Jennifer Gates, Eve Jobs started riding at a very young age and has also turned out to be quite the talented equestrian. The two have even competed against one another, begging the question; who's the better rider? 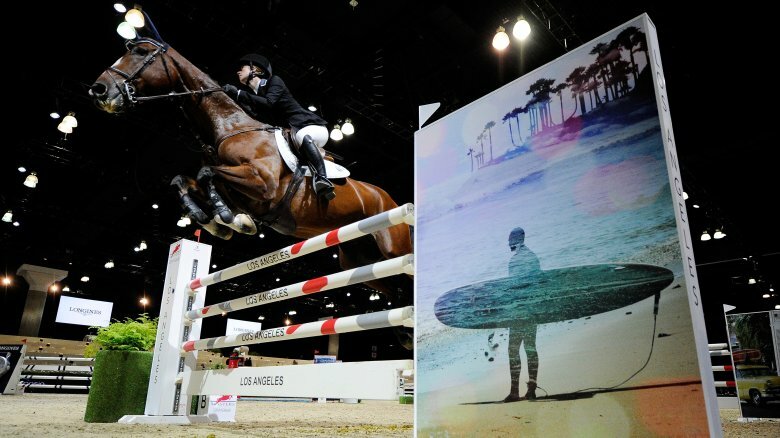 According to Business Insider, Gates and Jobs went head-to-head in a "star-studded LA show jumping competition" in 2015, and the following year faced off again in an event in Miami. 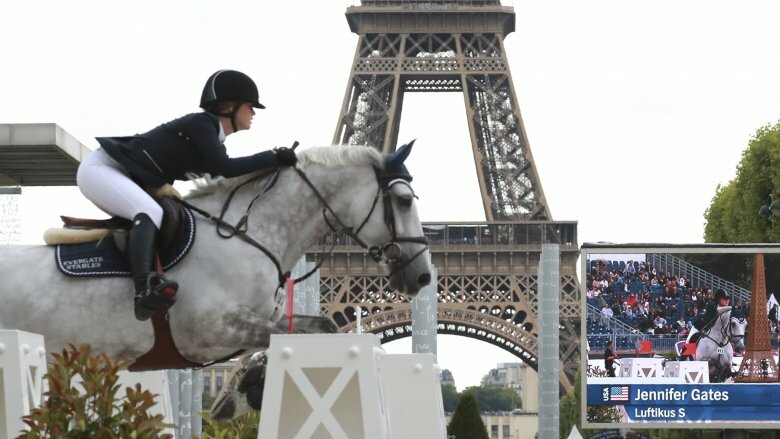 The United States Equestrian Federation had Gates ranked at number 19 and Jobs at 23 in 2018, but Jobs has actually leapfrogged her rival since. The only thing that could make this fascinating contest any better would be if the two girls trained right across the street from one another — and they do. Gates' father is said to have coughed up a whopping $37 million to procure a huge facility for his daughter in Florida, and soon after that, Jobs' mother (Laurene Powell Jobs) bought the $15 million ranch right opposite. Looks like this one is a rivalry for the ages. It's easy to assume that Bill Gates' kids are bound for jobs in the tech game, but what started as a hobby for his oldest daughter soon became a potential career path. When she sat down with Horse Network in 2016, Jennifer was asked if she would ever consider going professional as a show jumper, and she confirmed that she was at least thinking about it. "I always thought I'd just be an amateur and go to medical school or pursue another professional career. But I don't know now. This may be something that I'll want to dedicate a few more years to and try and jump 5* Grand Prix and see where it goes." She went on to compete in a number of prestigious Grand Prix events over the next few years, but she and her stable suffered a devastating setback in October 2018 when her tophorse (a 17-year-old named Cadence) had to be euthanized after he developed serious lung problems. He had been a core member of the Evergate Stables family since 2015. "Cadence, you were my teacher, my friend, my partner," Gates wrote in a touching social media tribute (via Equnews). You often get the chance to rub shoulders with the world's elite when you run with the show jumping crowd, as Jennifer Gates found out first hand in 2017. 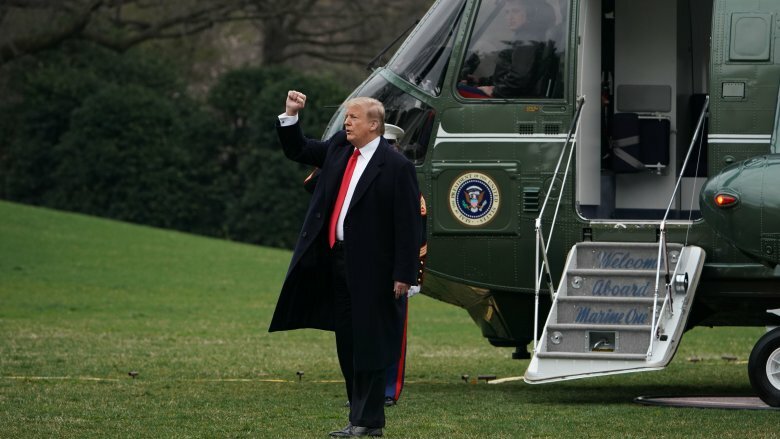 The young rider encountered Donald Trump when she competed at Florida's annual Trump Invitational, and according to her dad, the host put on quite the show. "He went up and talked to Jenn, and he was being super nice, and then 20 minutes later he flew in on a helicopter to the same place," Bill Gates said. "So clearly he had been driven away, but he wanted to make a grand entrance in a helicopter." The Microsoft co-founder was speaking on stage at a Bill and Melinda Gates Foundation Q&A event at the time, and Trump was apparently a hot topic. In footage obtained by MSNBC, Gates revealed that he had actively avoided the president prior to him taking office. When he did meet him for the first time, he was shocked at how much Trump knew about his daughter. "When I first talked to him it was actually kind of scary how much he knew about my daughter's appearance," Gates told the audience. "Melinda didn't like that too well." Bill Gates famously dropped out of Harvard to found Microsoft with childhood friend Paul Allen, but his oldest daughter seems to be dedicated to her studies — at least in part. "I'm at Stanford during the week, then horse shows on the weekend," she told Horse Network in 2016. "It's a little busy, but I love doing both." The billionaire's daughter (who has since graduated) was studying Human Biology, which apparently awoke the dormant humanitarian in her. "I just took a class about children, youth, and the law, so we learned about the juvenile justice system, the foster care system, and all the issues surrounding that," she explained. "I'm really interested in children's wellbeing, especially here in the United States. I find that fascinating." 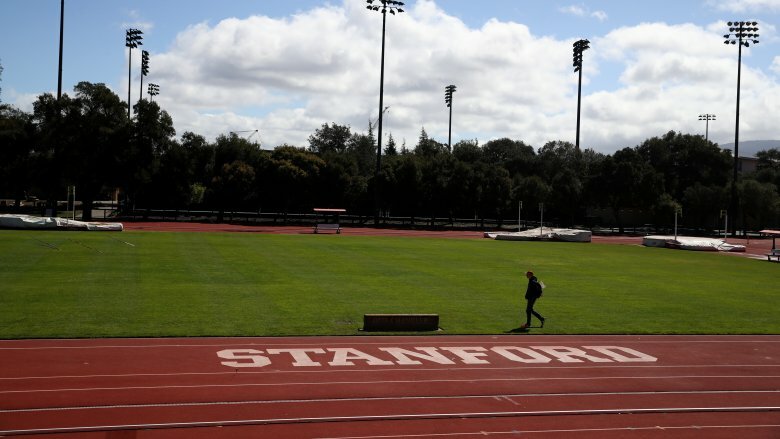 Stanford is regularly ranked among the top universities in the world, and going to such a prestigious school has its many perks. At one stage Gates was given the opportunity to go on an exchange program to Australia, and she grabbed the chance with both hands. "I made the decision to leave my horses here and really just focus on school for those 10 weeks," she told Thunderbird Show Park. "I'm a little nervous to be stepping away from the horses since it's a huge part of my life, but at the same time I feel like it's important at this point — at my age — it's import to go off and do things that are slightly different." Most students get a gift of some kind when they graduate, but not many people get rewarded in the way that Jennifer Gates was when she left Stanford. With her passion for horses still very much aflame, her parents decided to go all out and buy her a massive horse farm as her graduation present, according to the New York Post. 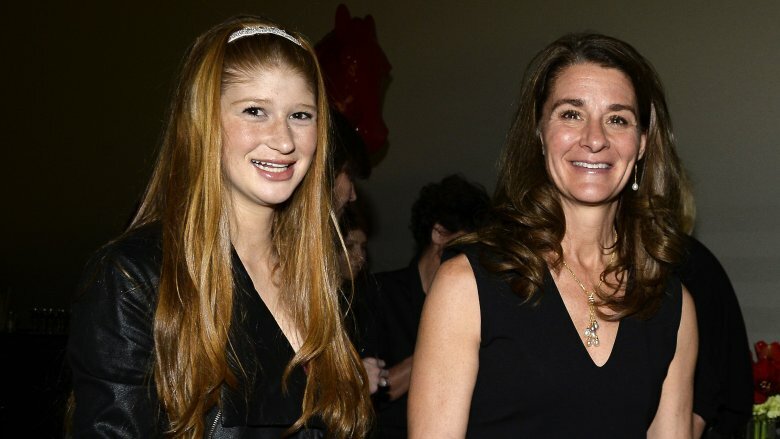 "Bill and Melinda Gates have bought their daughter a $15.82 million horse farm in the Westchester town of North Salem," the NYC daily confirmed. "Jennifer Gates, who graduates from Stanford University this year, is planning on moving to New York, and we hear she may be continuing her studies at New York University in the fall." Records obtained by The Journal News indicate that a "trust with ties to Bill Gates" purchased the mammoth 124 acre property, which is made up of three separate parcels, one of which comes with a single family home complete with its own swimming pool. It all sounds pretty amazing, but let's not forget that this is just one of a number of sprawling ranches purchased for Jennifer's benefit. Bill and Melinda Gates spent an eye-watering $37 million buying up "an entire street in the horse capital of South Florida," The Miami Herald reported, and the family also owns a facility in California, per Equnews. They even set up a European base for Jennifer in 2018, buying up a stable in Belgium. Rumors that Gates' daughter was moving to New York to study medicine were seemingly confirmed when another trust linked to Bill Gates bought yet another property in the state in 2017, this time snapping up a prime city location. 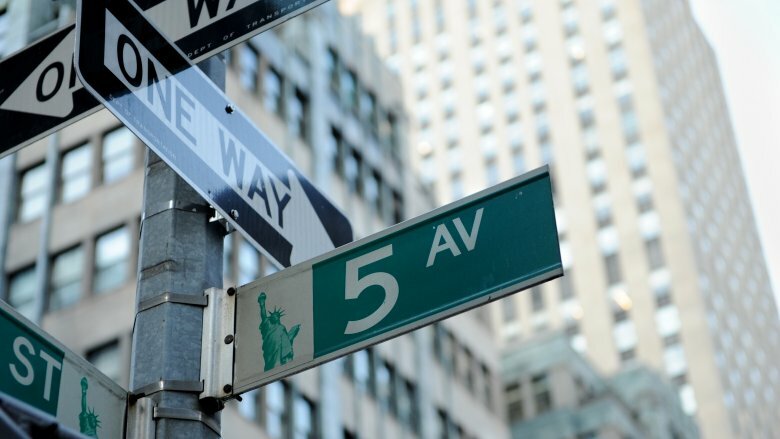 According to various outlets, the Gates' acquired a $5 million condo in a building on Fifth Ave, apparently preparing in advance for their daughter's move to the Big Apple. "[The condo] is intended for 22-year-old Jennifer to use following her graduation from Stanford in June," the New York Post revealed in 2018. "She studies biology, and sources say she plans on attending medical school in New York. Conveniently, Mount Sinai's med school is just blocks away." The story was also picked up by Architectural Digest, who revealed what the inside of Jennifer's alleged plush pad looks like. The 2,389 square feet condo (which previously belonged to Carmelo and La La Anthony) is said to have three bedrooms, a spa bathroom, and an open living area with spectacular views of Central Park. That's not to mention the on-site gym and resident's lounge. Needless to say, it isn't your typical student accommodation. Gates appears to have caught the travel bug during her 2016 school exchange to Australia. 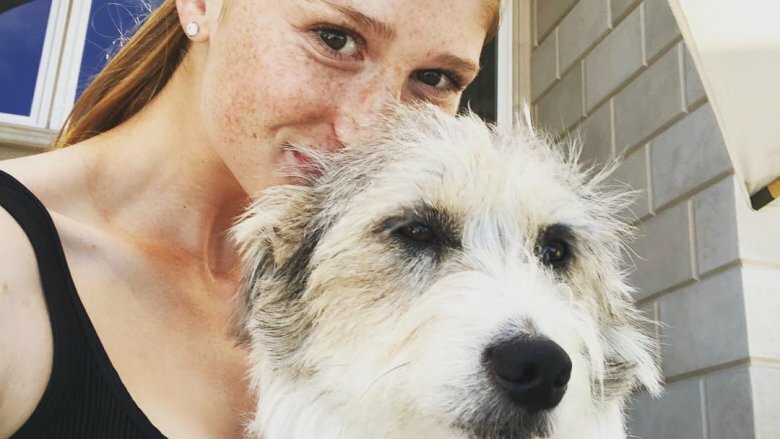 She called it a "transformative three months" in an Instagram throwback, revealing that she'd made some real connections during her trip Down Under. "Miss it more than ever and so grateful for the memories and friends made in Australia," she wrote (via Fox News). She clearly has a soft spot for Australia, but Gates is also a big fan of the Mediterranean. The globe-trotting Stanford grad has been spotted all over Europe, though not on the typical backpacker route. According to Gates, her travels often coincide with her parents' work. "We do a lot of travel," she revealed on the Longines Global Champions Tour. "We do some global work as a family, but also we like to travel to new places and experience those together." Gates called Barcelona's stunning Basilica de Sagrada Familia a "highlight," and she clearly enjoyed visiting Vienna's natural history museum with her dad, as well as the London Eye with her mom. Her Instagram reveals that she's also been to France, the Netherlands, Belgium (where she owns a stable), Czechia, Sweden, and Italy in recent times. For someone in her early 20s, she already has an impressive number of pins in the map. Believe it or not, Bill Gates isn't the biggest fan of technology. His oldest daughter doesn't even take her computer to him when she needs to have it repaired. "My dad is not that person," Jennifer said with a laugh during her interview with Horse Network. "He's not actually all that great at it." The idea of Bill Gates not being great at fixing computers might seem ridiculous, but when you take some of his interviews into consideration, it seems more likely that he didn't actually want to fix his daughter's laptop, rather than him not being able to. Speaking to the Mirror in 2017, the Microsoft magnate revealed that he and his wife have enforced plenty of strict rules on tech use in the Gates household over the years. "We often set a time after which there is no screen time and in their case that helps them get to sleep at a reasonable hour," he said. "We don't have cellphones at the table when we are having a meal; we didn't give our kids cellphones until they were 14 and they complained other kids got them earlier." According to Entrepreneur.com, Gates was also forced to introduce a cap on video games after he noticed that his daughter was developing an unhealthy attachment to them. Her Instagram feed is primarily horse pics, but Gates' followers couldn't help but notice that a certain young gentleman began appearing with increasing regularity in 2017. That gent is fellow Stanfordian Nayel Nassar, a handsome Chicago-born man of Egyptian descent who just happens to be a talented equestrian. Gates and Nassar appear to have bonded over a mutual love for the sport, and the internet agrees that they make a super cute couple. 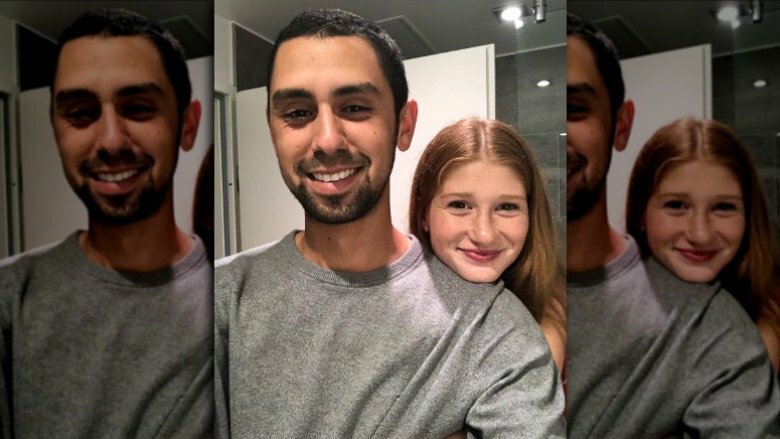 Nassar (who rides for Gates' Evergate Stables) took the billionaire's daughter with him to Kuwait in December 2017, and the pic they snapped together went viral. "Memorable times in Kuwait last week with family and old friends," Nassar captioned his shot of the lovebirds (per Step Feed). "Got to bring Jenn home and give her a glimpse of my childhood. It meant the world to me. Needless to say, she was loved by all." The image went down particularly well with local Instagram users, who showered the couple with love and support. "Simplicity without flashiness is the most beautiful thing," one poster said, while another welcomed Gates to the country. "Beautiful Kuwait welcomes its guests no matter where they come from," they said. Gates and Nassar celebrated their one year anniversary in January 2018, and as of this writing, are still going strong. It was big news when Bill Gates told the Daily Mail in 2011 that his children would be left a "minuscule portion" of his wealth. Of course, a minuscule portion of Bill Gates' total worth is still a heck of a lot of money — various outlets have reported that Jennifer and her two siblings, Rory and Phoebe, will get $10 million each and plenty of perks. 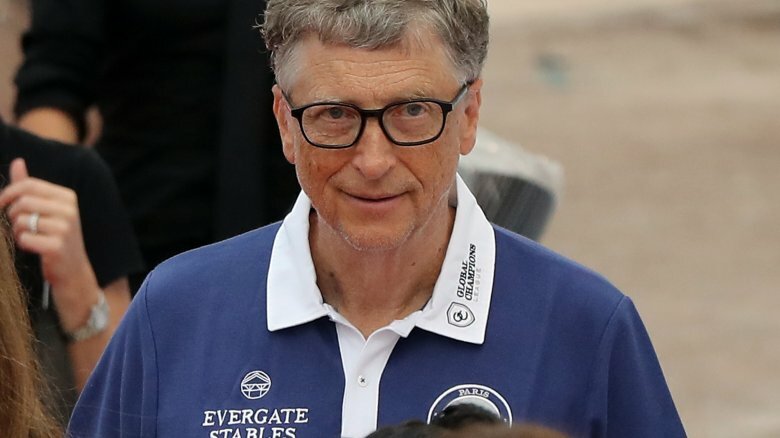 "They will be given an unbelievable education and that will all be paid for, and certainly anything related to health issues we will take care of," Gates told the Daily Mail. "But in terms of their income, they will have to pick a job they like and go to work. They are normal kids now. They do chores, they get pocket money." Jennifer is probably a little too old for pocket money at this point, but as we've already seen, her parents have helped her out in other ways. 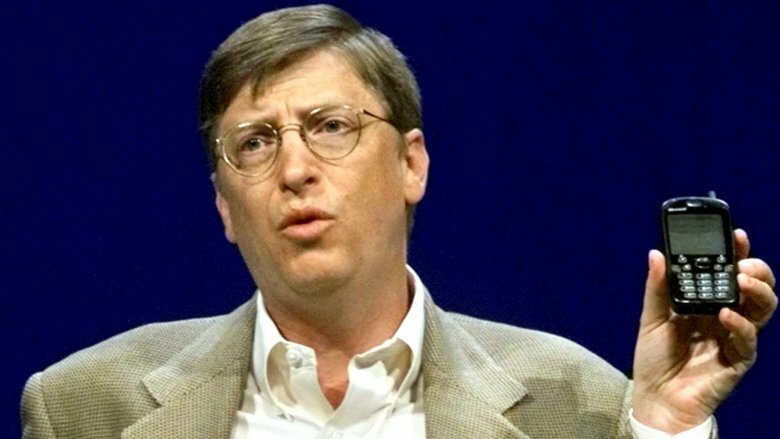 Bill Gates changed the world as we know it when he dropped out of Harvard to start Microsoft, but perhaps his biggest achievement in recent years has been resisting the urge to spoil his children. If Jennifer is anything to go by, Bill and Melinda's "love and logic" approach works wonders, because the oldest Gates child is a rare example of a humble rich kid who doesn't take her lot in life for granted. Jennifer's mom is not as well-known as her father, but she works just as hard. Through the foundation that she founded with her husband, Melinda Gates directly impacts the issues that concern her the most, making sure their money goes where it's needed most. The Bill and Melinda Gates Foundation tackles everything from the spread of infectious diseases in developing countries to the upkeep of U.S. education standards. It's for these reasons that Melinda is her daughter's biggest role model. "It's kind of cliché because you're my biggest role model, but not just because you're my mom, but because of the amazing things you do for the world," Jennifer told Melinda during a one-on-one interview. "The way that you think about having everything, but really putting those resources back to good." The pair has done a number of sit-downs together, including one particularly candid chat for The Huffington Post's Talk To Me series. "I wanted you to be whoever you wanted to be in the world, and as you get older I actually have no concerns or fears about that," a beaming Melinda told her daughter. "You make incredibly wise decisions for yourself today and I think my job as a mom was to try and instil my values — or what I thought were the right values — in you, and then let you go out and live your life the way that you wanted to live it. And I see you doing that."